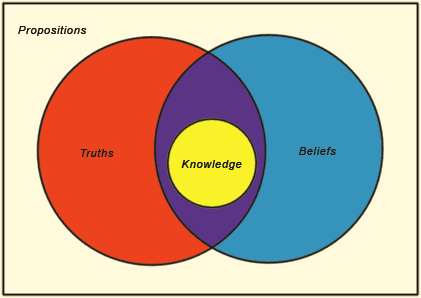 Peter Unger's "No accident account of knowledge", which defines knowledge as "S knows p if and only if it is not at all accidental that S's belief in p is true". The "Defeasibilty account of knowledge", where "There is no other proposition （q）, such that if S became justified in q, S would no longer be justified in p". Under this account, q is known as the "defeater". The "Causational Account", where "The fact of p causes S's belief in p"
A problem with the Causational account is that deviant causal chains can emerge. Philosopher Alvin Goldman added that "Fact that p, causes fact that q, causes S's belief in q is not knowledge, but belief in q, from which p is inferred, is knowledge". However, there must be an awareness of the causal chain. The Conditional Account associated with Robert Nozick. S believes in p, p is the case, and if p were not the case, then S would not believe it. The "Reliable Analysis" account, which adds to the "justified true belief" definition that "S arrived at p by a reliable method, or S is a reliable judge in such matters".